Well, this is where our giant Love Letters come in! At Taxi Snaps, we offer the amazing Love Letters that will bring fun and beautiful décor to your wedding. Just as the name suggests, you can add a beautiful and illuminated Love Letters to your venue to make your wedding look incredible. 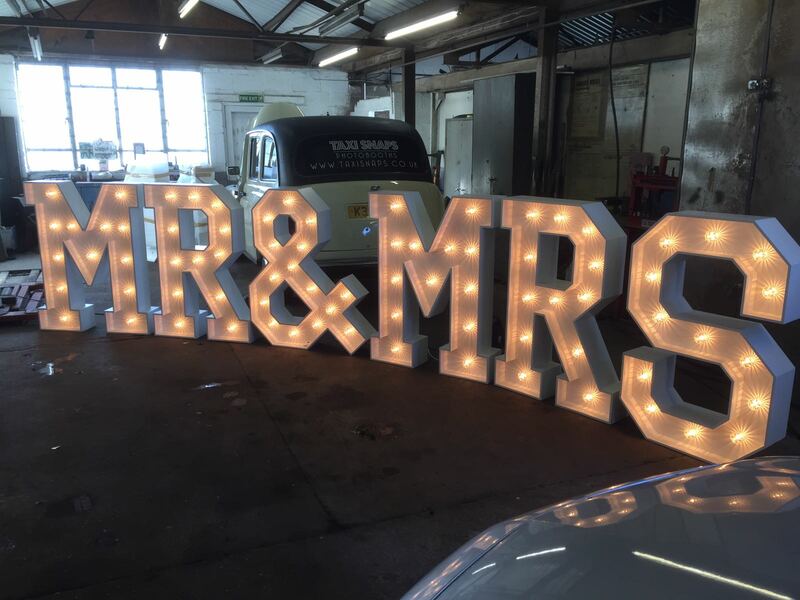 Not only will it light up the place and look fabulous in any style of venue, but it will also look stunning as a backdrop for photographs and wedding videos. The possibilities are endless with our popular Love Letters! It has never been easier to add an attractive and quirky decoration to your wedding day or reception than with Love Letters! They will light up any room and they are big so you can’t miss them, standing at four feet high. 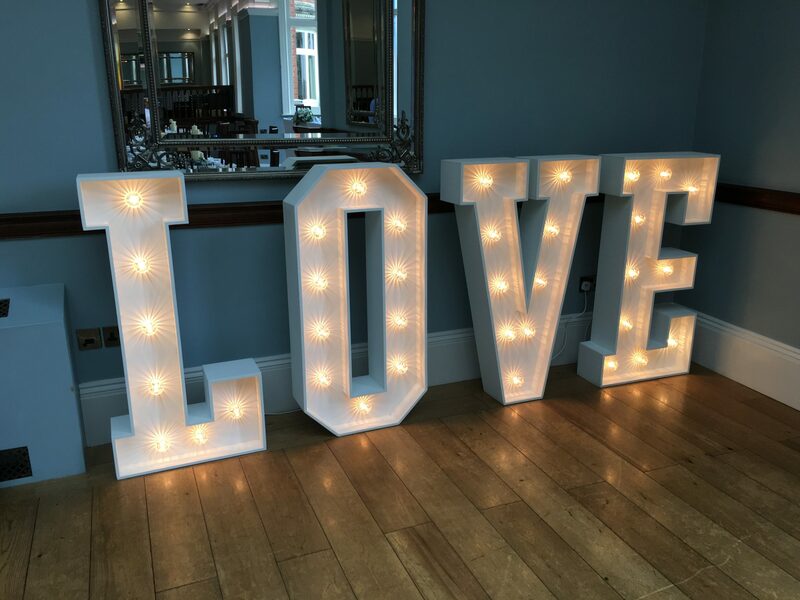 The Love Letters are freestanding, which means they can be positioned anywhere and they light up bright enough to shine against any backdrop. This includes using them at inside and outside venues, it is completely up to you. This means you can use them as a backdrop using the speeches or even as a decoration for when guests are arriving. Our Love Letters have been used in a variety of different ways! They are made in the UK and can be taken all over the country for celebrations, so all you have to do is hire them for your wedding to enjoy a great decoration. This is definitely the sparkle and glamour you need for your big day! We know your big day is special and it can be stressful in the lead up to your wedding. Since you will be busy, we want to make your day a little easier by taking care of the Love Letters setup for you. This is one thing we can tick of your list for you! Our team will bring your Love Letters right to your venue in the Midlands and make sure they are all set up and ready to go for the big day. All you have to do is tell us where you would like them positioned and we will make sure they look great. We will also make sure everything is working perfectly before we leave so there aren’t any nasty surprises. Of course, after your wedding, you don’t want to be thinking about clearing up! That is why we will collect the Love Letters from your venue afterwards and take them off your hands as soon as we can. At Taxi Snaps, we make sure your experience with us is easy and enjoyable from start to finish. We don’t want you to lift a finger on your wedding day, so we do it for you! At Taxi Snaps, we offer amazing packages for your wedding day. We always make sure that our amazing Love Letters can be enjoyed by everyone, which means affordable prices and easy delivery around different wedding venues. All you have to do is arrange your Love Letters today to enjoy a quirky and bright addition to your decoration. We know you will love the way they light up and add sparkle and fun to the special occasion! So, what are you waiting for? 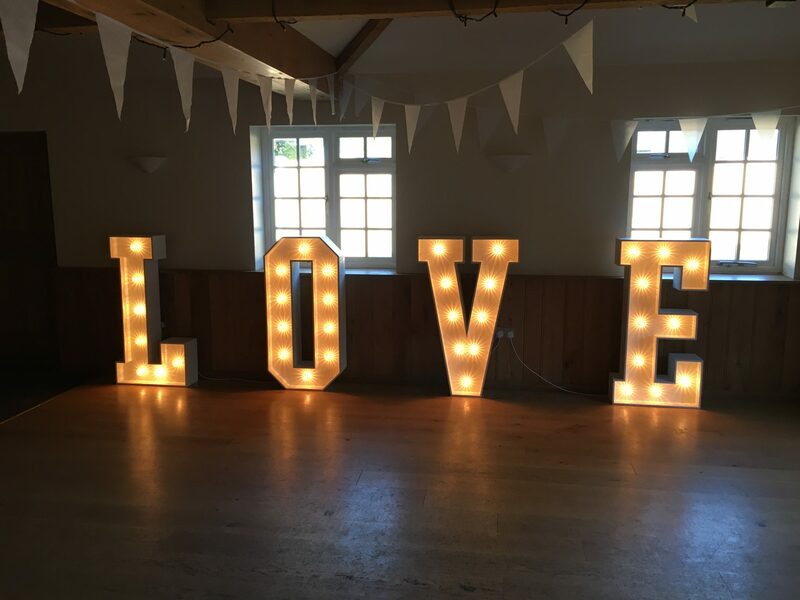 Make sure your wedding day is one to remember for you and your guests with our fabulous light up Love Letters. There is no better way to put a smile on everyone’s face and enjoy an amazing setting on your special day.